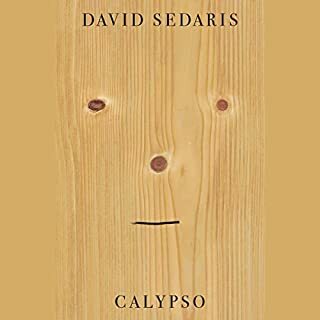 >From "one of the funniest writers in America" comes a collection of stories culled from the front lines of the millennial culture wars. Rife with failing rock bands, student loans, and participation trophies, Spoiled Brats is about a generation of narcissists - and the well-meaning boomers who made them that way. 3 ½ stars. Some clever ideas. Welcome to Heaven, Inc., the grossly mismanaged corporation in the sky. For as long as anyone can remember, the founder and CEO (known in some circles as "God") has been phoning it in. When God decides to retire (to pursue his lifelong dream of opening an Asian Fusion restaurant), he also decides to destroy Earth. The angels manage to strike a deal with their boss. He'll call off his Armageddon, if they can solve their toughest miracle yet: getting the two most socially awkward humans on the planet to fall in love. In "Center of the Universe", God struggles to balance the demands of his career with the needs of his long-term girlfriend. In "Magical Mr. Goat", a young girl's imaginary friend yearns to become more than friends. In "Unprotected", an unused prophylactic recalls his years spent trapped inside a teen boy's wallet. 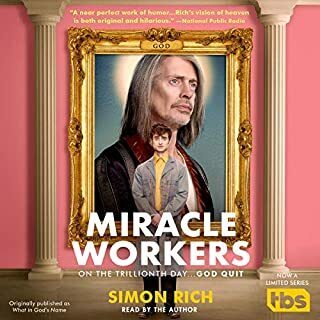 The stories in Simon Rich's new audiobook are bizarre, funny, and yet...relatable. 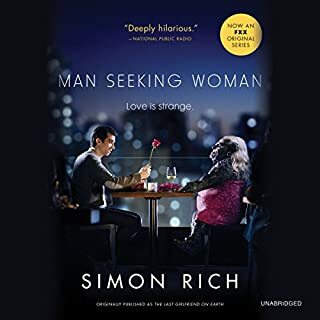 Rich explores love's many complications--losing it, finding it, breaking it, and making it--and turns the ordinary into the absurd. Seymour Herson is the least popular student at Glendale, a private school in Manhattan. He’s painfully shy, physically inept, and his new nickname, “Chunk-Style,” is in danger of entering common usage. 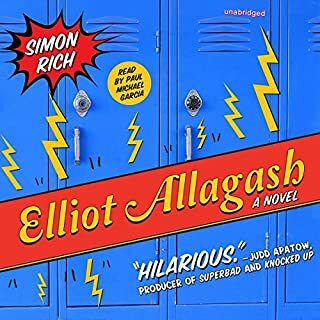 But Seymour’s solitary existence comes to a swift end when he meets the new transfer student: Elliot Allagash, evil heir of America’s largest fortune. Elliot’s rampant delinquency has already gotten him expelled from dozens of prep schools around the country. In Planet Funny, Ken Jennings explores this brave new comedic world and what it means - or doesn’t - to be funny in it now. Tracing the evolution of humor from the caveman days to the bawdy middle-class antics of Chaucer to Monty Python’s game-changing silliness to the fast-paced meta-humor of The Simpsons, Jennings explains how we built our humor-saturated modern age, where lots of us get our news from comedy shows and a comic figure can even be elected president of the United States purely on showmanship. 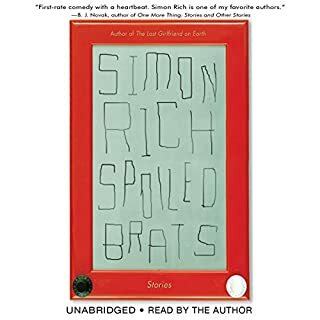 Simon Rich is "one of the funniest writers in America" (The Daily Beast) - a humorist who draws comparisons to Douglas Adams (The New York Times Book Review) and James Thurber and P.G. Wodehouse (The Guardian). 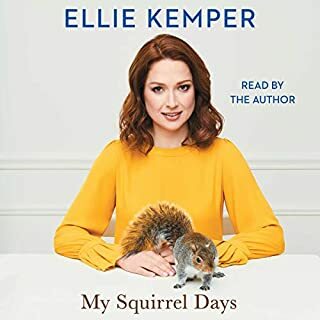 With Hits and Misses, he's back with a hilarious new collection of stories about dreaming big and falling flat, about ordinary people desperate for stardom and the stars who are bored by having it all. 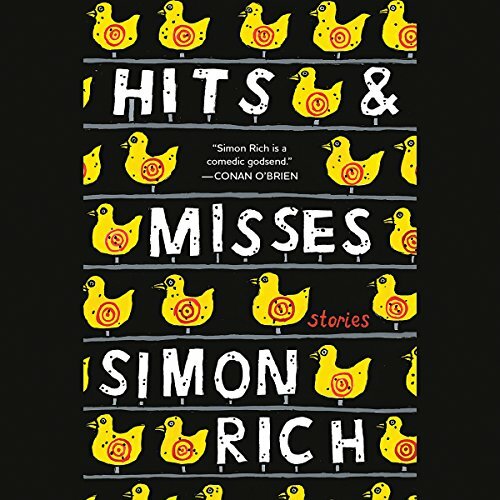 Inspired by Rich's real experiences in Hollywood, Hits and Misses chronicles all the absurdity of fame and success alongside the heartbreaking humanity of failure. From a bitter tell-all by the horse Paul Revere rode to greatness to a gushing magazine profile of everyone's favorite World War II dictator, these stories roam across time and space to skewer our obsession with making it big - from the days of ancient Babylon to the age of TMZ. No one is writing funny prose this good today. Simon Rich is simply the best out there. Some of these stories I have listened to over again and played for friends. This is what comic fiction can be. So funny. You will wish it never ended. He could go on and on telling stories, and I would sit and listen.